A one bedroom apartment converted from a former coaching inn situated in Buckingham town centre. The property benefits from having one allocated parking space to the rear of the building and is an ideal investment purchase as there is a tenant in situ at £895 PCM. The property is within walking distance of the University. 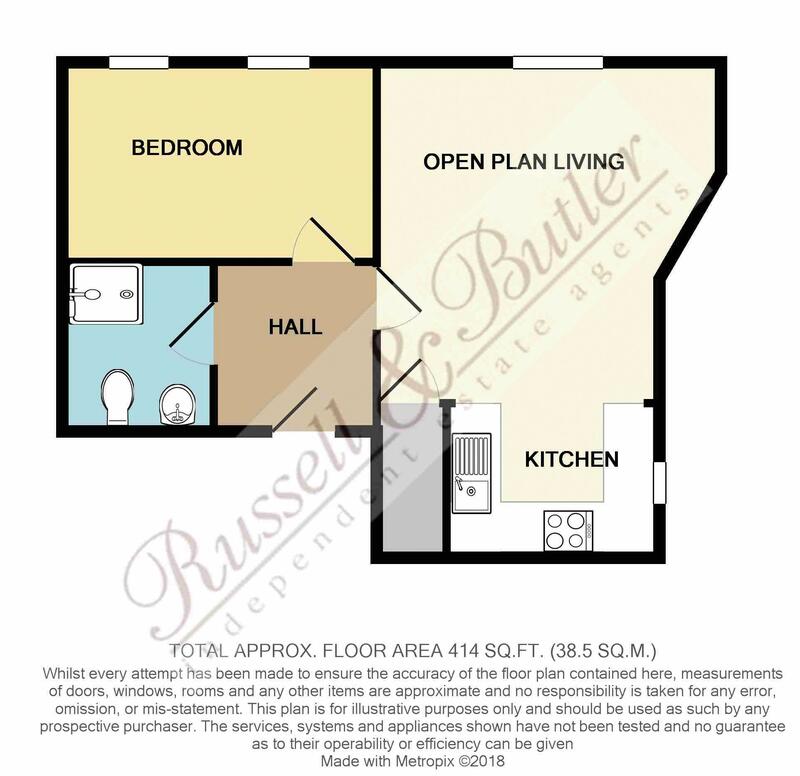 The accommodation comprises: Communal entrance, entrance hall with entry phone system, open plan kitchen/lounge/dining which includes electric oven & hob, double bedroom, shower room. EPC Rating D. Approx. 990 years remaining on the lease, ground rent and service charge approx. £150 PCM. No Upper Chain. Entry phone, mains smoke alarm, fitted carpet. Fitted to comprise inset single drainer stainless steel sink unit with cupboard under. Further base and eye level units with roll edged work surfaces and ceramic tiling to splash areas, four ring electric hob, electric oven, space and plumbing for washing machine. Window to side aspect, lino floor covering, mains smoke alarm, spot lighting. narrowing to 2.36 min. Electric panel heater, sash window to front aspect with window seat, sash window to front aspect with deep sill, fitted carpet. White suite of fully tiled shower cubicle, pedestal wash hand basin and low flush wc. Heated towel rail, ceramic tiling to splash areas, lino floor, extractor fan. One allocated parking space to the rear. All main services connected with the exception of gas. Council Tax Band A. Approx 990 remaining on the lease. Ground rent and service charge approx £150 PCM. Tenant in Situ at £675 PCM.